Zeeuws Archief (Zeeland's Archive) is the provincial archive of Zeeland and also maintains the municipal archive of Middelburg. Address: Postbus 70, 4330 AB Middelburg, The Netherlands. Phone: +31 118 67 88 00. E-mail: info@zeeuwsarchief.nl. As far as I know, there is no provincial historical society. The foundation Stichting Cultureel Erfgoed Zeeland (Foundation Cultural Heritage Zeeland) promotes historical research. Genealogisch Centrum Zeeland (Zeeland Genealogy Centre) is the genealogy society for the province Zeeland. Zeeuwen gezocht (Looking for Zeelanders), the provincial database of genealogy records maintained by the Zeeuws Archief and has many records not available in Genlias. Internet resources Zeeland, an index to the many available online resources for Zeeland. 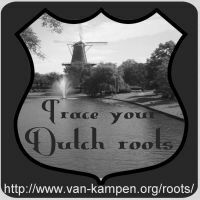 Genealogie Zeeland, a Zeeland genealogy portal site (in Dutch). FamilySearch, the website of the LDS (Mormons) has many Zeeland records and scans. Image database of the Zeeland Archive. In Dutch. Beeldbank Zeeland (Image database Zeeland), the image collection of the Zeeland libraries. In Dutch. Graftombe has indexes of several cemeteries in Zeeland. Register to order photos of tombs. Online Begraafplaatsen (Online Cemeteries) has images of tombstones of several cemeteries in Zeeland.